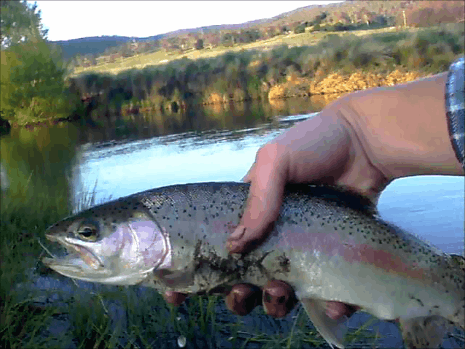 I got back from a great couple of days on the Bidgee, must have caught about thirty fish in total, the place was on fire after the recent flooding. 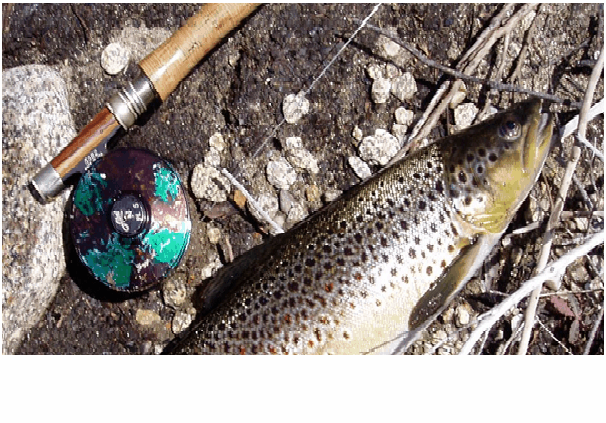 Mostly 10 to 14 inch bows but a couple of bigger ones and a few bigger browns. 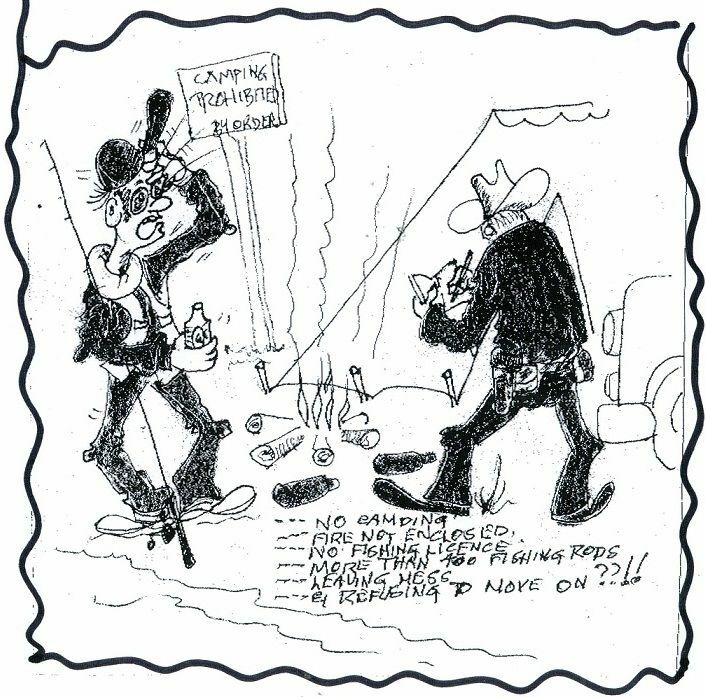 Mostly caught swinging a bead-head bugger after letting it sink well down but a couple on dry, shaving brush, later in the evening. Here is a quick word from Greg about his High Country Adventures. I spent a number of days in the Snowy's this week. The rivers are running well and not to high with very clear waters considering the intermittent rain falls on the upper peaks over the last weeks or so. 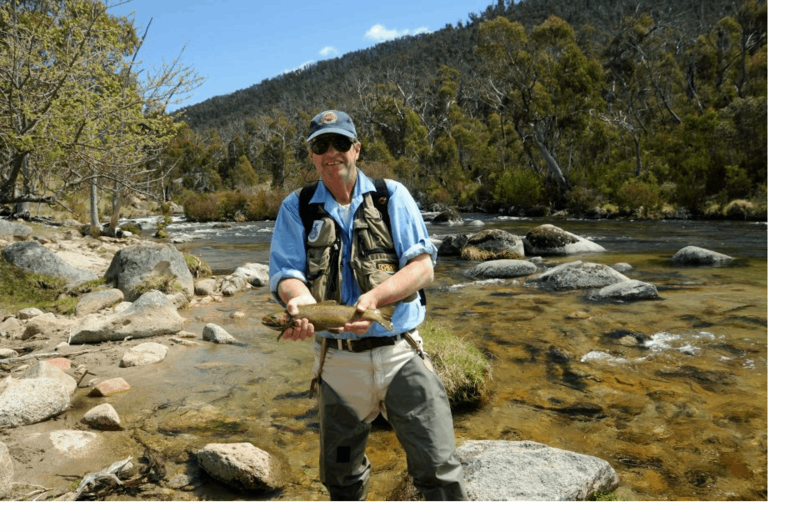 The opening weekend of the 1st of October saw rainfall at Thredbo of over 30mm, this caused a huge torrent down the river washing down many of the larger spawning rainbows and browns which may well have taken up residence in the river for the coming summer. That being said though it would appear that the larger fish have been able to hold in the deeper pools and have remained following the easement of the water flow. 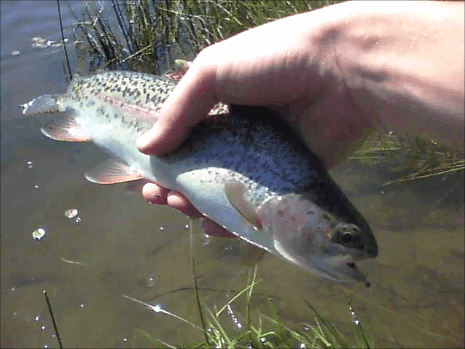 The main rivers are fishing well with rainbows from 1lb to 5lbs being caught on nymphs. 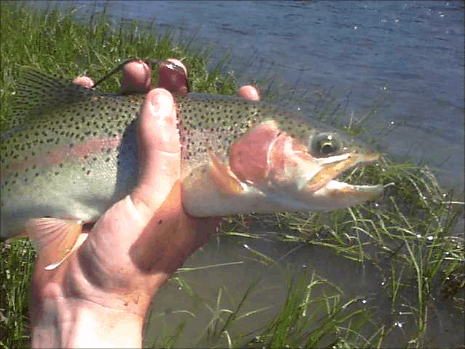 Large gaps in fish populations are to be expected along the river, we found that some of the most accessible spots were full of small male rainbows that have yet to spawn, possibly a result of the rush of fresh over the opening weekend. Fly of choice? copper john's, purple john's and black flash back's #14, we found that an egg pattern fished 40cm above the nymph caused more hook-ups on the nymph than fishing a double nymph rig, if that makes sense to you? 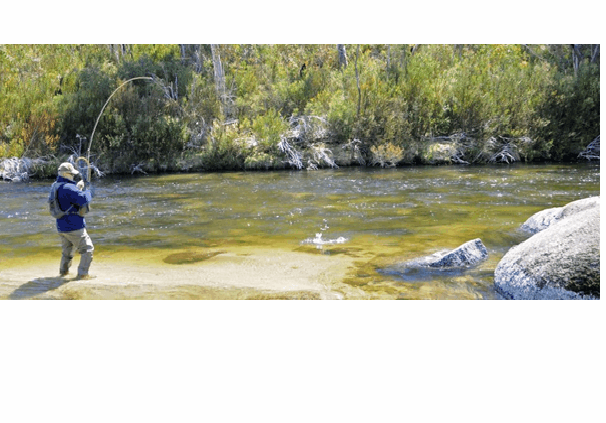 the smaller streams such as the Moonbah and such are at reasonable levers and relatively clear with #16 quill wing dries taking good numbers of fish in the evening after a nice warm day. Lake Jindabyne is falling rapidly to make way for the runoff from the alps, though this should level off in a month or so, with that big push of fish down the river be ready for a cracker around the lake margins as evening falls, midging should be fantastic. No direct reports at this time. The bait fishing is really hotting up and with the winds areas like Seven gates,Rushes are prime feeding areas. No reports have been sent in as of yet. 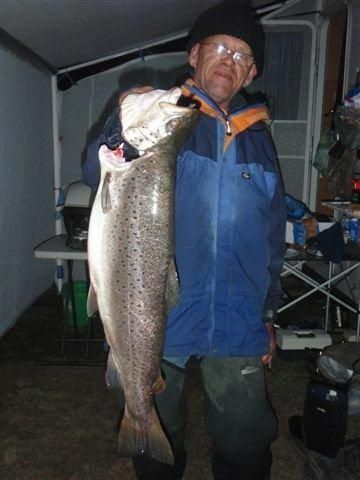 The Trout festival is over and we had some great results at Buckenderra we have taken out the largest overall fish for the 2nd year it was won by John Herzog a brown weighing 2.784kg clean which was caught on a fly, and I am told with the water warming up in the next few weeks there will be a lot happening on the water for the fly fisherman at the moment woolly buggers are doing well. 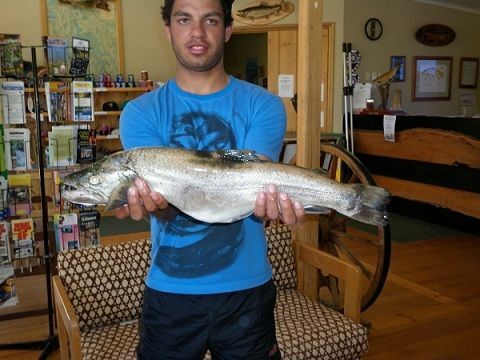 Trolling had some nice size caught the largest rainbow was 1.305kg and the brown was 2.475kg the yellow wing Tassies were popular but the one catching the most was no.48. Our power bait guys caught a nice rainbow at 1.20kg and a brown just over 2kg the colours were lime twist and chunky cheese, mud eyes are also doing well. 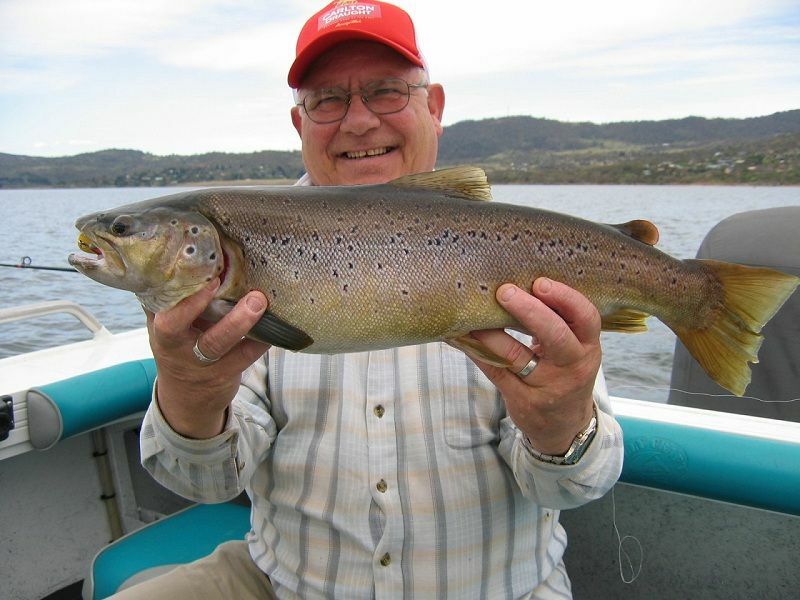 Here we have John Hertzog with a smashing Brown Trout taken on the fly. Here we have some artwork from Mr Johnny Scrubworm, nice one John.